Made by () 1987 to () 0. 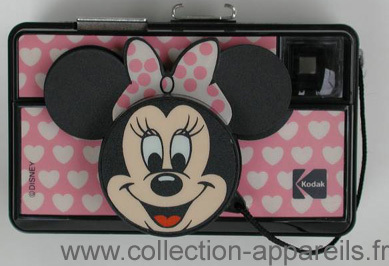 This is a 126 format camera, decorated with the character of "Minnie", probably commissioned by the Walt Disney Company on the basis of the Instamatic 177XF manufactured in Brazil around 1987. 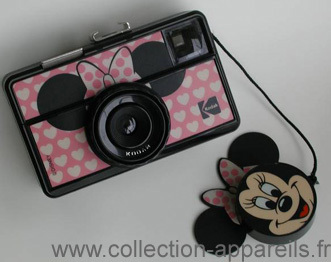 Equipped with a f. 11 Kodar lens, the second originality of the 177XF is that it is the only Instamatic with the model 500 to have a flash shoe with a central contact. 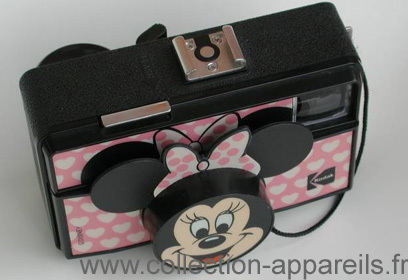 I found it in a flea market and since 1996, it brightens my vintage cameras showcase.